Primary duties include: evaluating mechanics and repair facilities for initial certification and continuing adequacy, evaluating mechanics training programs, 3.inspecting aircraft and related systems for airworthiness, and 4.evaluating the maintenance aspects of programs of air carriers and other commercial operators including the adequacy of maintenance facilities, equipment and procedures, the competence of personnel, the adequacy of the program or schedule for periodic maintenance and overhauls, and the airworthiness of aircraft. Experience involving technical supervision or management of the maintenance and repair of aircraft, aircraft engines, or aircraft electronics communication and navigation systems and equipment of aircraft with responsibility for airworthiness following federal aviation or military regulations and safety standards. This experience must demonstrate a broad and comprehensive knowledge of maintenance of aircraft or aircraft systems. It must also demonstrate an ability to gain cooperation at management levels in complying with and supporting proper maintenance standards. Aviation safety inspector or air safety investigator concerned with aircraft powerplants, structures or systems. 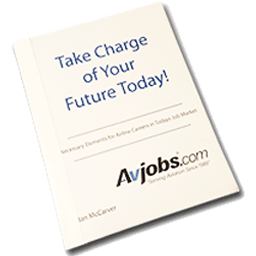 Experience gained as a field service representative of a manufacturer of aircraft systems and equipment may be accepted up to a maximum of one year. Candidates for position at GS-9 and above are required to have knowledge and skill in the maintenance of aircraft (except positions that involve primarily avionics equipment) must hold an FAA Mechanic Certificate with airframe and powerplant ratings. Basic training as an aircraft mechanic or in electronics and communications systems repair in a technical or vocational school is a starting point. College level work in aeronautical engineering or aeronautical maintenance or electrical or electronic engineering is preferred. From time to time, retraining is required as new developments in aircraft, engines and equipment appear.